NATO Secretary General Jens Stoltenberg addresses a news conference after a meeting of the NATO-Ukraine Commission at foreign ministers level at NATO headquarters in Brussels. The “Russian threat” was among the key topics discussed at the Dec. 7 summit of NATO foreign ministers in Brussels. Nevertheless, according to NATO Secretary General Jens Stoltenberg, the alliance has no plans for isolating Moscow from the modern world. At the Dec. 7 meeting in the Belgian capital, the NATO leadership and foreign ministers signed 42 documents aimed at expanding cooperation in various fields, including cybersecurity and counteracting “hybrid” threats. Developing an effective strategy to deal with Moscow's foreign policy was among the key issues discussed at the summit. "Russia is our biggest neighbor, Russia is here to stay and there is no way we want to or should try to isolate Russia," Stoltenberg said following the meeting of the NATO-Ukraine Commission at the level of Foreign Ministers. "We need to engage with Russia in many different ways not only as NATO, but on the level of different NATO allies as well," he said. Stoltenberg believes, however, that the sanctions against Russia should be prolonged. According to him, four additional battalions, each comprising 800 to 1,200 troops, will be deployed in the Baltic states and Poland for the purpose of defending Europe and NATO member nations. Additionally, the U.S. has decided to quadruple the funding of its military presence in Europe. The NATO chief noted that the alliance does not see any security threats coming from Russia, but that it is worried by the fact that Russia is building up its military forces in the west of the country. 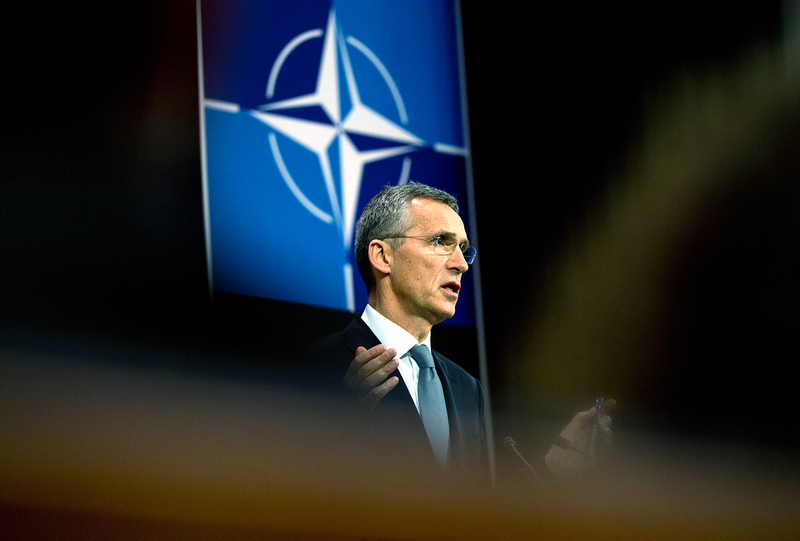 “We do not want confrontation, we want to alleviate the tensions,” Stoltenberg said (in Russian) in an interview with the Russian business daily Kommersant when asked if NATO perceived Russia as its primary threat. According to Alexander Grushko, Russia's permanent representative to NATO, Moscow has not witnessed any changes in NATO's position, nor any desire by the alliance to revise its relations with Russia. “The situation continues to deteriorate; in particular, new small headquarters are being set up, and there is constant talk of the need to increase NATO's Black Sea presence. In the final analysis, all this contradicts Europe's actual security needs,” Grushko told Russian journalists in Brussels after the summit, as reported (in Russian) by the TASS news agency. According to the diplomat, the NATO leadership's “dual approach,” which combines dialogue with a policy of deterrence, is imposing a new cold war on Russia. What can Russia expect from NATO and the new U.S. president? Following Donald Trump’s election as the next U.S. president, Russian society is under the impression that relations with the West might now improve. Some Russian experts, however, warn that it is too early to expect this. Valery Garbuzov, director of the Institute for U.S. and Canadian Studies in Moscow, believes the future of Russian-NATO relations will become clear by February 2017. Mizin believes the ruling political class in the Western countries has not changed its position and continues to perceive Russia as a problem, not an ally. On the other hand, added Mizin, Russia and NATO do have an opportunity to prevent maritime and aerial incidents by agreeing on the use of transponders by military aircraft. The issue is currently being negotiated by the Russian representative to NATO and the alliance's deputy secretary general.